Sardis Lake is one of the top crappie fishing lakes in the U. S. and holds the state’s record for hybrid bass and bighead carp. If you come on Memorial Day weekend, you can join hundreds of professionals and amateurs in the annual tournament that benefits St. Jude’s Hospital. Not into fishing? It’s a great place to boat, ski, tube and swim. And if you don’t want to do anything, this is the perfect place to do it. Bring a beach chair and settle in on one of the six pristine swimming beaches. A can’t-miss experience is the Southern Voodoo Kitchen at the Marina. You’ve never tasted anything like the Voodoo Breakfast Burger. In fact, since you’re on vacation, go wild, have it on a butter croissant! If you love the outdoors, you will love Sardis Lake. 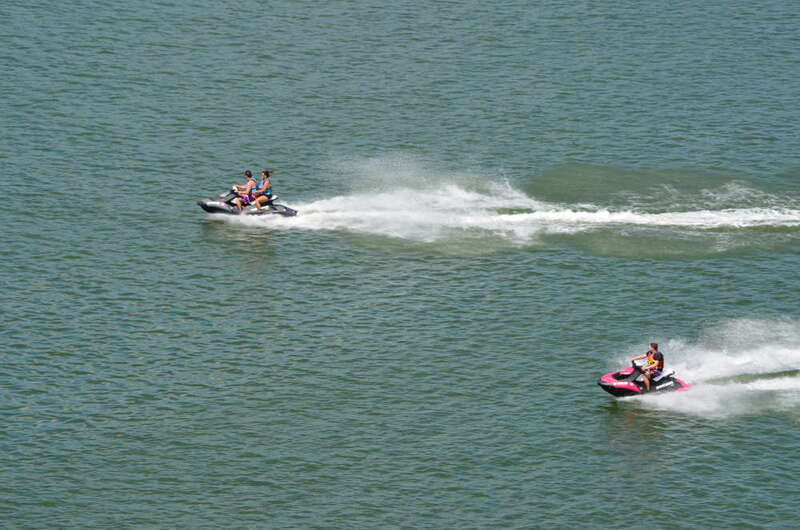 Renting a cabin is a great way to enjoy Sardis Lake. If you have a cabin rental that you would like listed on this page, please contact us.